Enjoy pollutant & mineral-free fresh drinking water produced from the atmosphere that meets or exceeds World Health Organization (WHO) standards without disturbing existing water supplies. 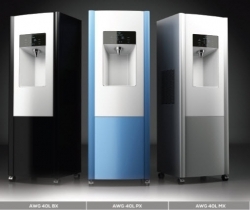 Mundelein, IL, July 20, 2017 --(PR.com)-- PanLbilt Global announces the new product release of a 40 Liter per day Residential 4th Generation appliance to complement our existing line of commercial fresh Water from Air products ranging from 100 Liter per day to 10,000 Liter per day. Contact PanLbilt Global's Marketing Department at 224-425-9236 for technical and pricing information.